Have you ever watched Kevin Van Dam fish a crankbait during an Elite Series tournament? It’s an exciting technique that KVD uses to get reaction bites while casting towards fish on structure. If you want to fire up schools of fish the way KVD does, the first step is to get the right gear for crankbait fishing. Fishing a diving crankbait is one of the few techniques that greatly benefit from using a specialized and dedicated rod and reel for crankbaits. The best crankbait reels get your lure to the proper depth faster, easier, and for longer distances than your standard baitcasting reel combo can. Abu Garcia Revo Winch: Editor’s Choice for it’s large line capacity, low gearing and high torque. 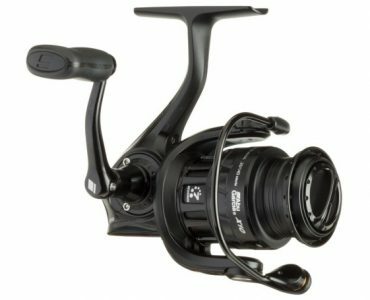 Lew’s Tournament MB: Great all-around multi-purpose cranking reel. 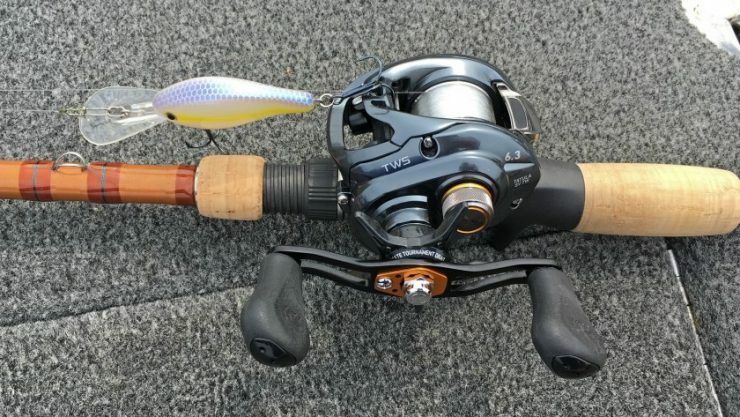 Daiwa Tatula SV TW: Best reel for light crankbaits. Pflueger Supreme: Best budget crankbait reel. 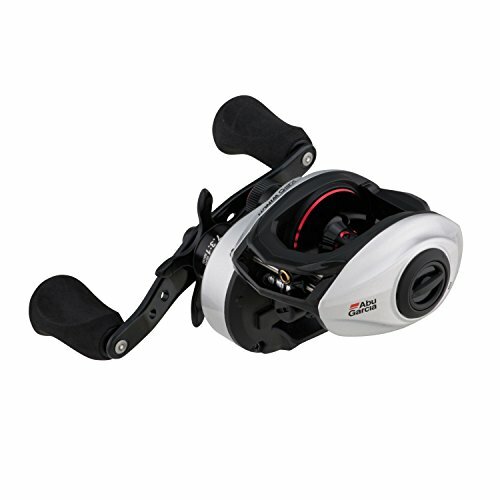 Abu Garcia Revo Toro Beast: Best reel for fishing the biggest crankbaits. It goes without saying that your reel needs a high quality brake and drag system in order to play out big fish on 10-12lb test line. 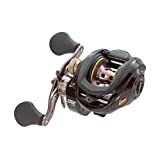 That said, the rate which the reel picks up line on the retrieve, and the gear ratio are two important specifications to a good reel for crankbait fishing. Gear Ratio – Many people get confused by this number, but it’s really simple. A 6.3:1 gear ratio means the spool will turn 6.3 revolutions for every 1 revolution of the handle. Reels with gear ratios in the 5-6.5 to 1 range are best for crankbait fishing. Use the Gear Ratio as your starting point to find some reels, then look at line recovery rates for a true cranking comparison. Line Recovery Rate (Inches Per Turn) – Look for reels that have a recovery rate of 19 to 23 inches per turn of the handle. This is the sweet spot for reels that allows you to crank the bait down to its max depth fastest, and keep it there longest during the retrieve. When the IPT is much higher than that, you have to really concentrate on slowing down your handle turns, and the result is you are pulling the bait up rather than letting it work itself. Increased Torque – One side benefit to the lower gear ratios and line pickup, is the increased torque you apply at the handle. 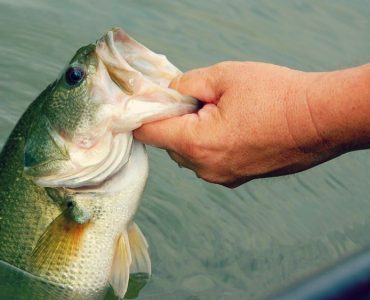 More torque makes requires less effort to reel a big crankbait or swimbait, and puts less stress on your wrists and arms. Spend a day cranking with a regular reel, and you will notice how tired your hand and arms can get. Casting Lightweight Crankbaits – This is always a challenge with baitcasting gear, as they just aren’t well suited to 3/8oz and less crankbaits. 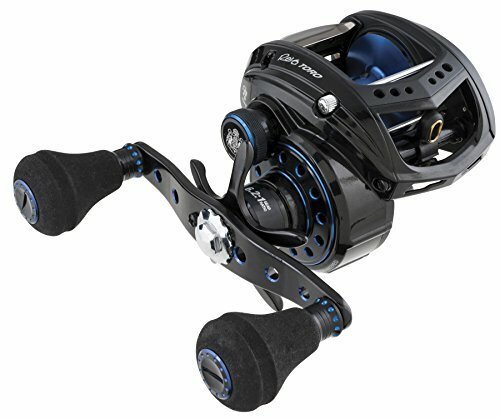 The key is finding a reel with the best spool and braking systems, and pairing it with the right cranking rods. You need to use the baits momentum to pull the line off the reel to avoid massive backlashes. Editor’s Choice: Abu Garcia came out with the Winch reels a few years ago and they have proven to be highly popular for crankbait fishermen. They feature an oversize power handle, large handle knobs, and are specifically designed for throwing big baits and having the “winching” power to control them as well as big fish. The Revo Winch is our Number 1 choices for a variety of reasons. They have a sweet magnetic brake system as well as an internal centrifugal brake that helps control your casts better, especially into the wind. 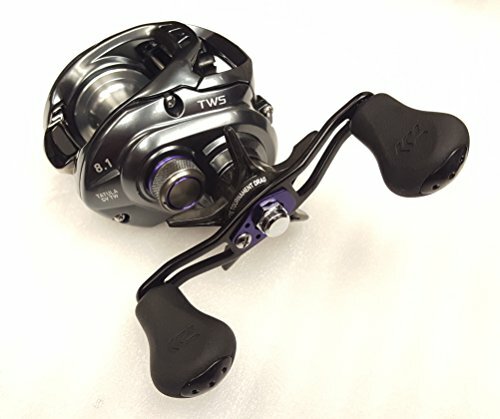 At 7.5 ounces, the Revo Winch is still a light cranking reel for it’s larger size. The Winch also has excellent line capacity, which is obviously important when making long casts or long lining a crankbait. 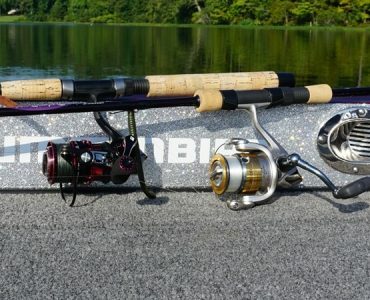 Best Cranking Reel Under $150: The Lew’s Tournament MB is an excellent all purpose cranking reel. It’s got great bones thanks to an all aluminum frame, anodized spool, aircraft grade drive gears, and oversize handle on the TS1SMB. At just 6.7 ounces, it’s lightweight for a cranking reel. The line capacity is average, so it’s best suited to shallow to medium diving plugs. You’ll love the 5.6:1 gear ratio for worming squarebills around brush and rocks, as well as grinding cranks on points and ledges. Like other Lew’s reels, they cast like a dream. You need to take advantage of MSB internal/external braking system. Use them to dial in different crankbaits, especially when casting in windy conditions. Best Baitcaster for Light Crankbaits: For the longest time I had a big problem casting light crankbaits on casting gear, especially in wind. No matter how I set the brakes, I was either getting nasty backlashes, or very short casts. Not good. Two things helped me overcome the issues and be able to sling a Strike King KVD 1.5 Flatside further. First was getting a decent cranking rod with a moderate action. The second was buying a Tatula with the T-Wing system. The T-Wing is basically a wide shaped line guide that fold down with the button disengaged. It’s supposed to lead to freer line flow through the reel and into the rod guides. I had been reading good things about it, and finally bought an SV TWS for my cranking rod. I don’t know if it’s the T-Wing system by itself, or in combination with the SV spool design that has made casting light cranks easier. I am a believer now, and it’s my go to reel for balsa cranks and squarebills. 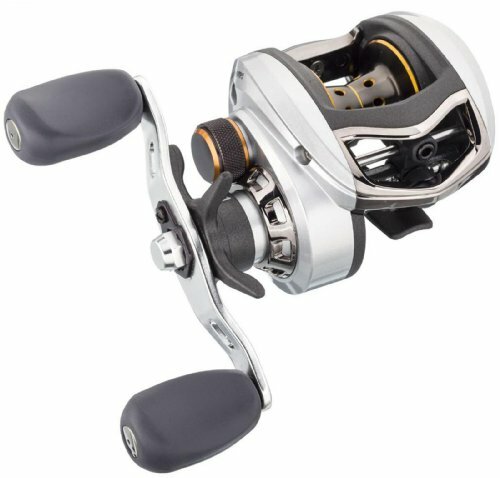 Best Cranking Reel Under $100: Who says specialty reels need to be expensive? The Supreme has a slowed down version (SUP54LPX) that is great for crankbait fishing. It’s geared at 5.4:1 with a retrieve rate of 22″ per turn, both of which help keep your cranks grinding the cover. The Supreme is all aluminum, from the frame, to the spool and handle. It’s average in weight at 7.8 ounces, but for a sub $100 reel that is to be expected. If you want to get your feet wet with crankbait fishing without spending a bunch, the Supreme is your leader. Best Reel for BIG Crankbaits: For bombing those really big crankbaits set yourself up with the Revo Toro Beast. It’s got a huge line capacity, with ultra low gear ratio of 4.9:1, which is awesome for lobbing big cranks like a 10xd, as well as large swimbaits while still having plenty of cranking power to spare. Be forewarned, this a LARGE reel, literally a beast. It does weigh more than your standard reel, but that’s the price you pay for the ability to chunk and wind big baits. One nice bonus is the inclusion of 2 extra handle styles, each with a single large round knob. Just be careful with the handle nut, its shallow and could be a stripping or cross threading risk. 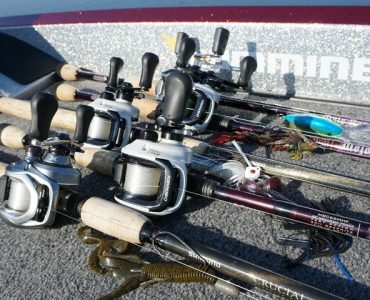 While this article is focused on reels for deep diving crankbaits, the kind you cast and retrieve to reach the bottom of deep structure on the lake bottom. There are several other types of crankbaits that don’t necessarily need one of these specialized reels. Let’s look at those first, and what reels suit them best. Square Bill Crankbaits – These baits tend to run shallow, from 1 to 8 feet deep at most. The square shape of the bill helps them excel at deflecting off shallow cover and triggering a reaction bite. These types of lure would benefit from any of the top all purpose reels, in the 6.3-6.5:1 range. You would be effective using your standard baitcasting reel with a medium action rod. Lipless Crankbaits – A lipless crankbait is meant to be fished just off bottom, while jerking and popping it free from grass and branches. If you tried to do this with a crankbait specific reel, you will wear yourself out trying to reel them fast enough. Don’t be that guy, you’ll want a medium to high speed baitcasting reel when fishing these baits. Balsa Crankbaits – These are small lightweight crankbaits that excel at catching fish in cold water periods such as winter and early spring. The Rapala Shad Rap is a perfect example of these kinds of baits. The smaller sizes of these baits are many times actually to light to be effectively cast with a baitcasting reel. A quality spinning reel spooled with 10lb braid or fluorocarbon is most effective with these types of crankbaits. I have a 7ft Abu Garcia 6:4.1 gear ratio is that a good square bill setup. That is a good setup for a squarebill. Hopefully you got a Medium action rod, or at least one with a soft tip. That will help you cast further, work it through shallow cover, and not rip the hooks out of the fish when they strike.